Orchid Garden is located in Beijing Chaoyang District, only 1 km away from airport expressway, 3 km to the 5th ring road and within 15 minutes drive to the Yansha business district and eastern diplomatic streets. With site area of 126,000 sqm and GFA of 65,500 sqm, the 247-unit development is consisting of 97 high-class villas, 150-unit townhouse and a 5,500-sqm clubhouse. Orchid Garden offers plenty of cultural and educational facilities in the vicinity like ISB, WAB, Montessori Kindergarten, Eaton International School. 1、located in the Laiguangying road, between Jingshun road and airport expressway, Chaoyang District. 2、It is one of earliest luxury villa areas and is situated between the Wenyu River and the airport Expressway in northeast Beijing. 247 Villas, 97 detached and 150 Townhouse, Greenland occupies more than half of the property space. 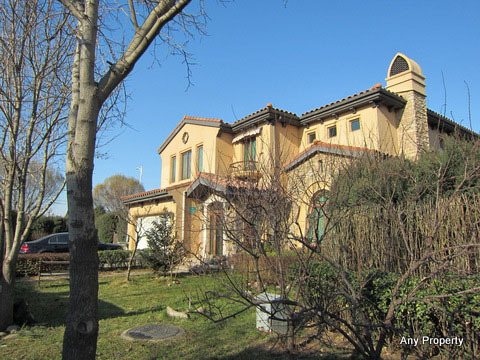 Over the past decade, it has been developed, section by landscaped section, and has become a villa area famous in Beijing for its luxuriousness. Nearby: Golf Club, Xiedao Nature Vocation Village,International School Beijing, Western Academy of Beijing, Montessori Kindergarten, Eaton International School and International Academy.